← It is not what you think! 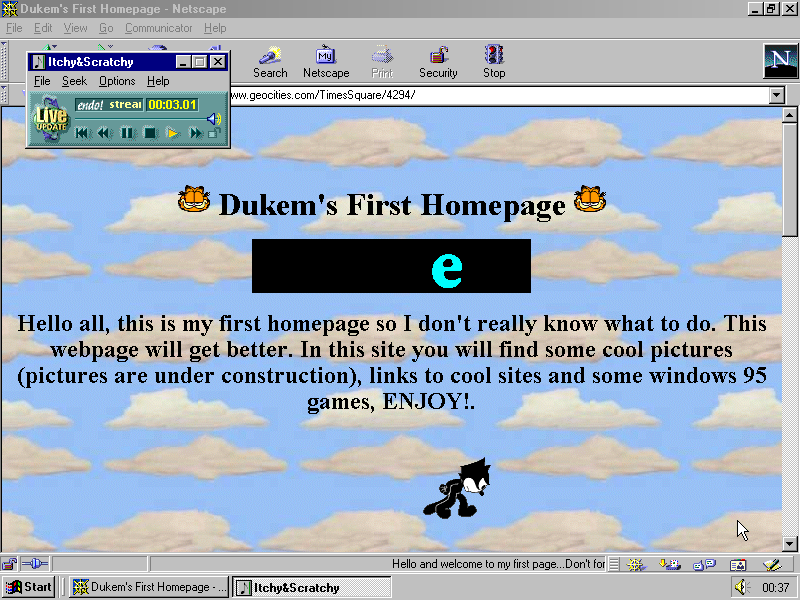 It doesn’t mean that it is the earliest appearance of that GIF on the web or Geocities web pages. It doesn’t mean that it was not present on any page in our archive before. Screenshots are too small, they only reveal the top of each page. And Felix was usually placed in the bottom of a page. To read more about Felix GIF — follow felix tag. 11.04.13: Important Update !!! :) I missed the first one. 12 February 2013 Amazing, but both are walking through clouds. 21.04.13: just detected one more, surfing through the archive. I just wanted to know if you could download the Geocities torrent via Windows. I’ve heard of some files being replaced. If this is true, can anyone who has the torrent post a follow up comment to me before I start downloading it? Nathan, do not download the torrent. Rather use the handy version at the Internet Archive that contains all patches. You will be able to download but not be able to unpack the torrent on a case-insensitive file system. As far as I know, Windows’ NTFS can be used to handle file names case-sensitive, but I wouldn’t rely on it. 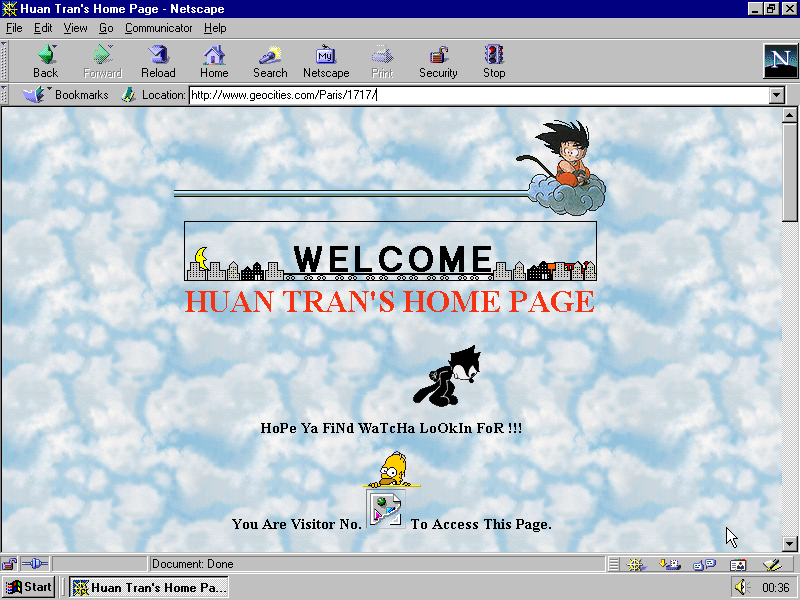 I saw the Internet Archive thing. However, my problem with that is that I don’t want to be up all night grabbing all 7,855+ files. First, my internet’s not that good. Second, at the same time I’m running the ArchiveTeam Warrior archiving Formspring (only 14 days to go, and there’s 154,403 files left to do so if anyone wants to help, go right ahead) and I don’t want my connection getting throttled. Despens, do you know if I can download a whole part (oxymoron, I know) of the archive at once on Windows? Nathan, I published a handy script to download the Goeicties Torrent from the Internet Archive.